The Origin of the Expression "Piss Like a Racehorse"
R. Cantos asks: I was just wondering who came up with the expression “piss like a racehorse”? When most horses take a leak, it is a dramatic sight, with the stream typically about one-third to one-half an inch in diameter, creating a veritable “river” of urine that seems to have impressed some wordsmith sufficiently to coin the phrase, “piss like a (race)horse” – today denoting a full human bladder that needs emptied yesterday. Although authoritative sources for the expression’s origins are non-existent, luckily, the tools of the modern world are at our fingertips to try to track down the origin and progression of this rather uncouth phrase. After this, the phrase “piss like a horse” appeared in numerous works of the 1970s and beyond. The transition from “horse” to “racehorse” has also been correlated with the fact that in the early 1970s the drug furosemide began to be legalized in horse racing on race day, first in 1974 in Maryland and spreading from there. The first known use of it in horse racing, however, was about a decade before this when veterinarian Alex Harthill, “Derby Doc,” gave legendary race horse Northern Dancer a dose before the Kentucky Derby. Northern Dancer went on to win by a nose over Hill Rise. So what does this have to do with horses’ urinating and why was it given to Northern Dancer and then many, many other race horses since? Furosemide greatly reduces the incidences of exercise-induced pulmonary hemorrhaging. As such, it became a very desirable thing to give to race horses to curb this potential problem. More important to the topic at hand is that the drug is a major diuretic; a horse given this expels massive amounts of urine (potentially several gallons in an hour) relative to their normal output (a few quarts every few hours). The perceived benefit of this is that the horses can be induced to shed some quick pounds before the race and the net effect, besides the major benefit of reducing instances of pulmonary hemorrhaging, is thought to be better race times. So it has been speculated that the rise of the use of this drug in the 1970s in horse racing may have seen the expression transition from “piss like a horse” to “piss like a racehorse” – the latter expelling drastically more urine directly before races when on furosemide than their non-doped up brethren. From there, the expression evolved to not just mean the act of expelling a massive amount of urine, but more commonly used today to imply the urgent need to do so. There is a lot of money to be made in racing and breeding thoroughbred horses. In fact, one horse, Curlin (né 2004, pun intended) who won the Preakness Stakes and Breeders’ Cup Classic in 2007 and the Dubai World Cup in 2008, has earned, as of 2014, well more than $10,000,000. Prolific, Curlin “covered” 131 mares in 2009, and one of his sons, Palace Malice, won the Belmont Stakes in 2013. Horse racing in the United States precedes its formation, and beginning in 1823, an annual North vs. South horseracing competition was held; at the first run at Union Race Course, the North’s American Eclipse beat the South’s Sir Henry. The competition continued through the Civil War. The term Triple Crown, denoting winning the Kentucky Derby, the Preakness Stakes and the Belmont Stakes, became popular in 1930 when sportswriter Bryan Field applied it to Gallant Fox, who was the second horse to win all three (Sir Barton was the first). Meaning “to urinate,” the word piss traces its roots to the late 1200s and an Old French word pissier. Pee as a verb for urinating is a much more recent word, a variant of piss, it traces to only 1879. As a noun for urination, pee has been used since 1902, and as a noun for the urine itself, to only 1961. Urinate as a verb traces its origins to the 1590s, and is itself derived from the Medieval Latin word for urination, urinationem. Race, as in the act of running, dates back to the 1300s and derives from an Old Norse word, ras. 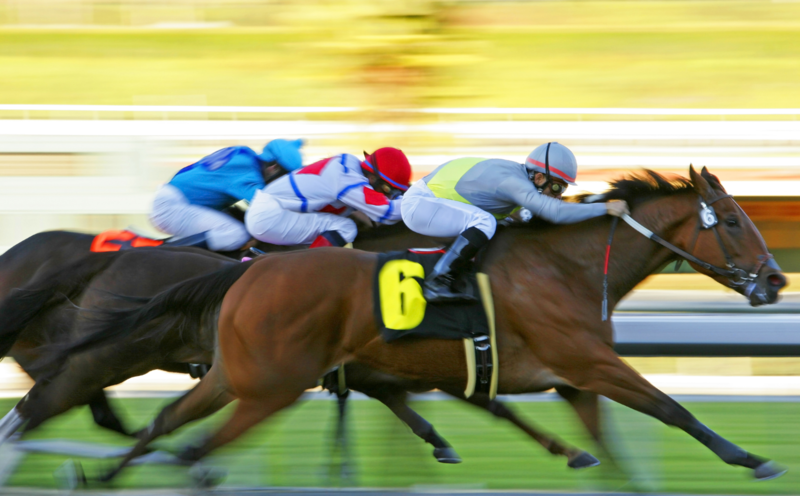 As a “contest of speed,” it was first recorded in the early 1500s. Horse is an even older word, dating back to the Old English (500-1150 AD) hors; it achieved its modern spelling by about the turn of the 1400s. Race horse dates back to the 1620s, and is merely the combination of the other two words. How much do racehorses pee? Does a Racehorse Pee Like a Racehorse? The expression ” Piss like a Racehorse” is older than what you list. I first heard it in 1960, when I was in the Army. It was regularly used by a buddy from WA state, maybe it was a regional saying, as I’ve never heard anyone else use it. The phrase dates back to at least 1975, as I clearly remember being 3 years old and my parents saying it at that time. They said “Pee like a racehorse” to sanitize it somewhat since I was three. Agree with Nik. I was 15-18 years old from 1975 to 1978 and a high school friend used the term extensively. It was well seeded within pop culture by the mid 70s – and anytime before that. I too agree with Mark and Nik, the phrase wasin common use among teenage and college males by the mid-1970s. I used that saying in 1973 when attending secondary school. When I was asked I said I need to pee “FAST”. I actually thought I was the one who came up with that phrase, not likely though. The REAL reason this phrase exists can be found using logic. Race horses are commonly put on a drug called Lasix which is a diuretic which also helps to keep lungs from bleeding during the stresses of a race. Being a diuretic, it also causes the animal to Urinate much more frequently than normal, which also causes a temporary weight loss, beneficial to racing. Some race fans will bet money on a horse based on witnessing a horse urinate or defecate just prior to a race. It may be lucky. It may be the 5 pounds less that the horse is no longer carrying! In the mid sixties, I worked part-time, after school with a horse owner and his driver, as a groom for his horses at a short lived racetrack. It was only open about five or six years, and it’s season went through late fall to early spring, (not a particularly agreeable time to be outside or in a cold barn, or a muddy race track), in the Mid-Atlantic Coastal Region, which I think caused it’s quick demise. I did, however learn a lot and developed a deep love for horses. One thing I noticed that was not mentioned in this post or any of the comments, is the fact that the winner of a horse race is detained ,until a urine sample can be taken. This sample 9is tested for ‘Doping’, just like human athletes, to be sure that the wining horse was NOT given any performance enhancing drugs. This is where I first heard the phrase ‘Piss like a race horse’. I had one particular stallion that seemed to want to torture me by holding his urine, what seemed like forever. Esspecially if it was super cold but I loved that horse. Yes yes. Doing a bit of research on diuretics today and tripped over the use of furosemide to control excersise induced bleeding in horses. An effect that was discovered by accident, like most drug effects, could save a racehorse’s owner from having a hugely expensive disaster when their horse was found to have blood flowing from their nostrils. If horse racing officials discovered this type of bleeding, just three times from the same animal, that racehorse would be banned from racing. Just like that. Oops. Well, where there is $$$$ to be made, or lost, quick “fixes” are preferred. US states had the choice of allowing furosemide dosing pre-race or not. Some allowed it, some not. So that’s how I discovered the “ I gotta pee/piss like a racehorse” comment. I was born in New Jersey. The phrase was fairly common, I think, but I was seriously into horses until boys seemed to be more interesting. So consider the source.